Editor's note: This is a followup to the recently published part 1 and part 2. You may want to check them out before moving forward. In the last article we will talk about basics of deep learning from the lens of Convolutional Neural Nets. In this article we will focus — basic deep learning using Keras and Theano. We will do 2 examples one using keras for basic predictive analytics and other a simple example of image analysis using VGG. I have realized that this topic is broad and deep and will need a few more articles. In the next few articles we will discuss difference between DICOMand NIFTI formats for medical imaging , expand our learning further and discuss how to use deep learning for 2D lung segmentation analysis. We then move to analyze 3D lung segmentation. 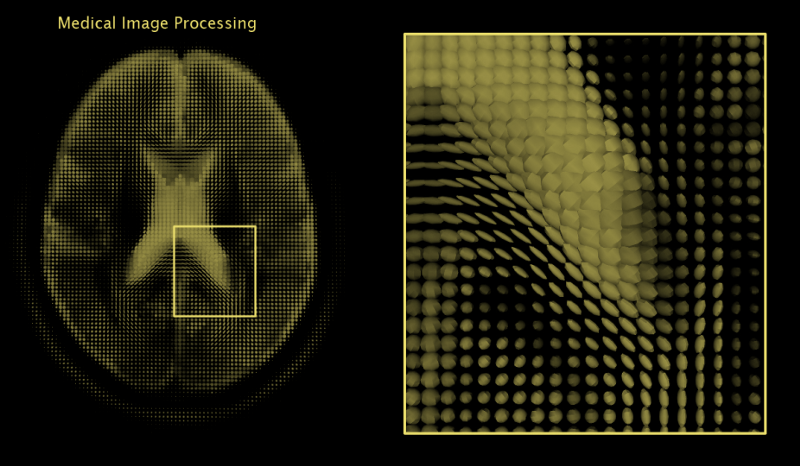 We will also discuss how medical image analysis was done prior deep learning and how we can do it now. I would also like to welcome and thank my new partners who will help me with putting this all together — Flavio Trolese, Partner at 4Quant, Kevin Mader, Co-founder of 4Quant and Lecturer at ETH Zurich and Cyriac Joshy. In this article we will discuss Keras and use two examples one showing how to use keras for simple predictive analysis tasks and other doing a image analysis. From the Keras website — Keras is a deep learning library for Theanos and Tensor flow. 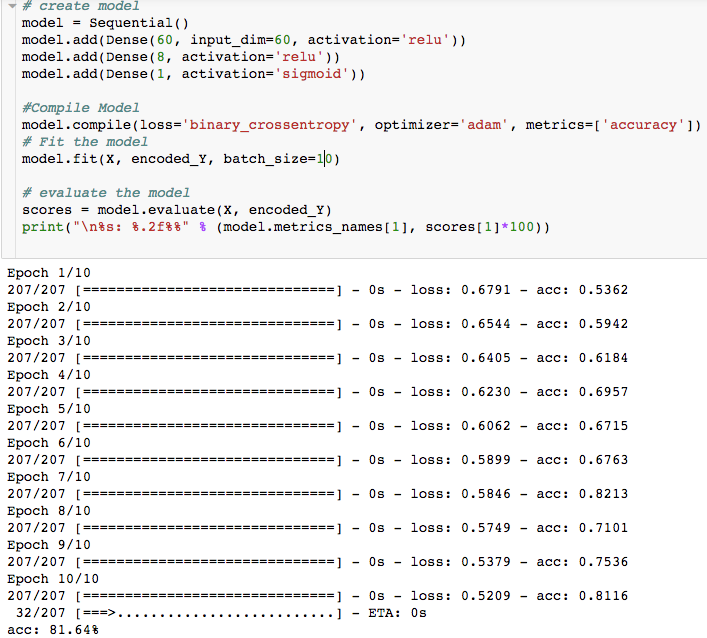 Keras api running on top of theano and tensorflow. Keras is a high-level neural networks API, written in Python and capable of running on top of either TensorFlow or Theano. It was developed with a focus on enabling fast experimentation. What is Theano and Tensor flow? 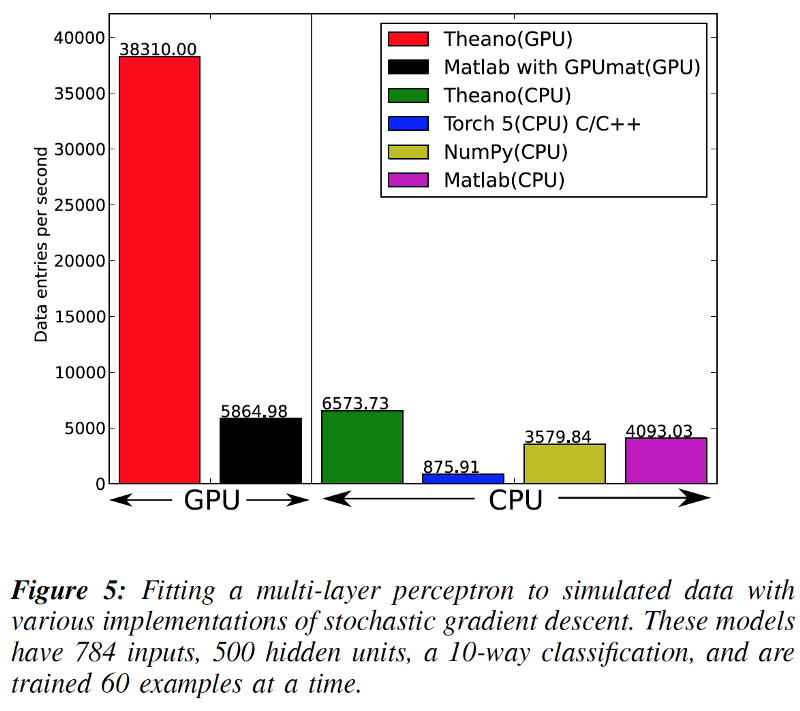 There are several other libraries built on top of Theano, including Pylearn2 and GroundHog (also developed by MILA), Lasagne, and Blocks and Fuel. In this example we will use Sonar data set from UCI website to do a simple predictive model. In the code below, we get data directly from the UCI website and split it in 60:40 ratio for training vs testing. 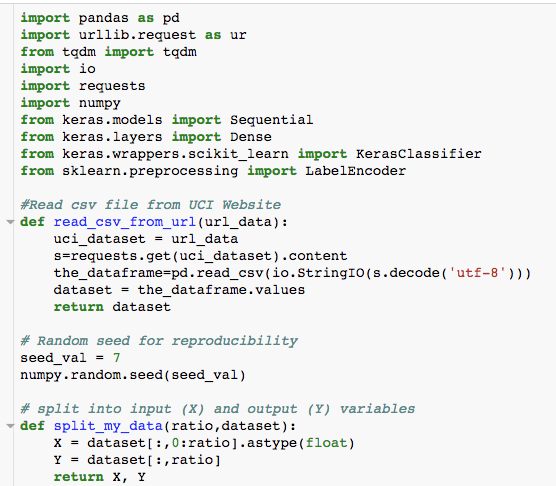 We use keras for predictive modeling and sklearn for label encoding. In the next snippet of code we read the data-set and see the data using the functions we defined above. We print the data-set and find out that our dependent variable needs encoding. 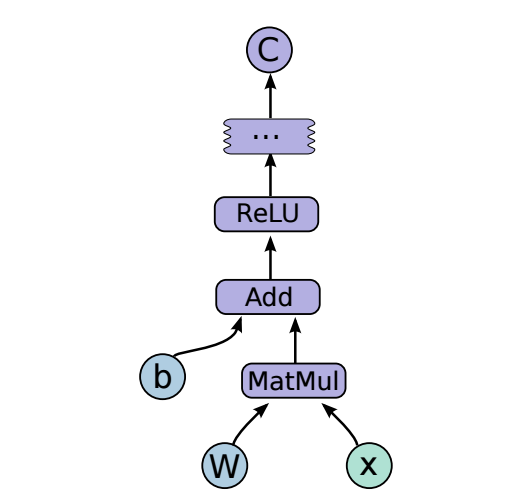 We use LabelEncoder from scikit-learn to do label encoding to covert R and M into numbers 0 and 1. The generic process of doing this is called one-hot encoding. One hot encoding transforms categorical features to a format that works better with algorithms. In this example our Y variable was categorical with values “R” and “M”. Using the Label encoder we converted this into “1” and “0”. We then create a model using Keras. “State of the art: The current literature suggests machine classifiers can score above 80% accuracy on this task”. So if we can beat 80%, then we will be at the cutting edge as at 2013! I highly recommend MOOC from Fast.ai for more details, learning next steps and cutting edge research on the deep-learning. I have referred fast.ai for the code below as well as it serves an excellent starting point. 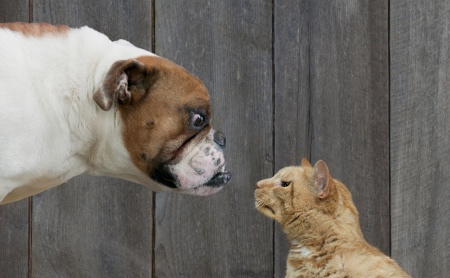 Download the data from Kaggle website for the dogs and cats, and save it on your laptop. For the example in this article I am running the code on my mac. Jeremy Howard, in his class has provided a utility python file that helps to get the basic functions encapsulated. For the initial part we will use this utility file. The file is available here. As we go into more details we will unpack this file and see whats behind it. Our first step is simply to use a model that has been fully created for us, which can recognize a wide variety (1,000 categories) of images. 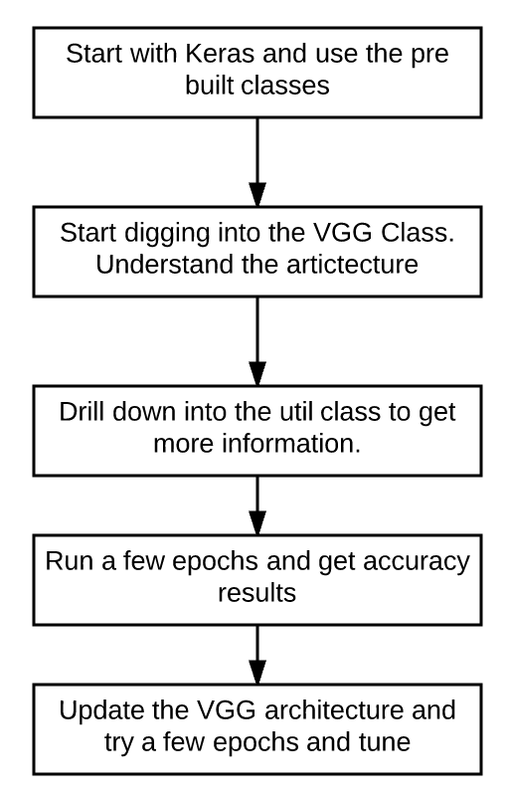 We will use ‘VGG’, which won the 2014 Imagenet competition, and is a very simple model to create and understand. The VGG Imagenet team created both a larger, slower, slightly more accurate model (VGG 19) and a smaller, faster model (VGG 16). We will be using VGG 16 since the much slower performance of VGG19 is generally not worth the very minor improvement in accuracy. We have created a python class, Vgg16, which makes using the VGG 16 model very straightforward. Vgg16 is also available from fast.ai’s github details are here. Vgg16 is built on top of Keras (which we will be learning much more about shortly! ), a flexible, easy to use deep learning library that sits on top of Theano or Tensorflow. Keras reads groups of images and labels in batches, using a fixed directory structure, where images from each category for training must be placed in a separate folder.